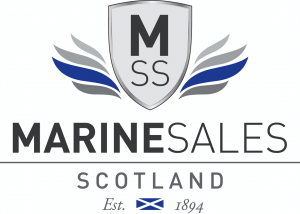 Marine Sales Scotland has been a family business since 1894. Third generation family member Stan Prosser is passionate about helping people with their boating needs, whether they are experienced or not. His enthusiasm and knowledge are infectious. Call him today on 07515 575420. 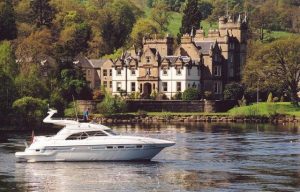 We are based at Cameron House Marina, in grounds of the exclusive 5 Star Cameron House Hotel & Marina on the stunning banks of Loch Lomond in Scotland (pictured). The hotel is the only 5 star grand deluxe hotel in the area, complete with its own Michelin star restaurant, golf course and fabulous spa. Many international celebrities and VIP guests from all over the world come here to holiday, or enjoy a romantic weekend break. We offer full boatyard facilities, travel hoist, hard standing, storage, fuel, servicing & repairs. We have a selection of the best new and used motor boats anywhere, full details of which are constantly updated on this website.